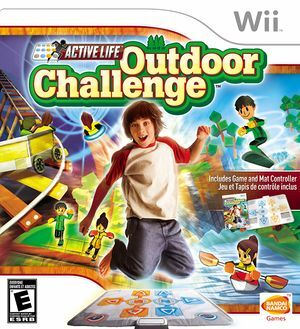 Active Life: Outdoor Challenge introduces the Active Life mat, a durable peripheral that lets players control the on-screen action with their hands and feet when used in conjunction with a Wii Remote. The Active Life mat supports and encourages vigorous activities such as running and jumping, allowing for an energizing game experience. From kayaking to mine cart adventures and obstacle-filled races, players will be able to use a variety of hand gestures and foot movements across the Active Life mat’s eight sensor inputs to control each event. Many of the game’s events can be enjoyed in head-to-head or cooperative multiplayer modes with a single mat, letting players enjoy the rush of competition or the gratification of teamwork as they play together. This game is known as Family Trainer in Europe. The graph below charts the compatibility with Active Life: Outdoor Challenge since Dolphin's 2.0 release, listing revisions only where a compatibility change occurred.